Eyeglasses Archives - Moran Eye Associates, P.C. Recycle For Sight – Used Glasses Needed! You can change lives by donating your used eyeglasses! Moran Eye Associates is working with the local Lions Club to collect eyeglasses to distribute to those in need. Dr. Mark Moran and his wife, Paulette are Lions Club members. They encourage everyone to donate their used specs. 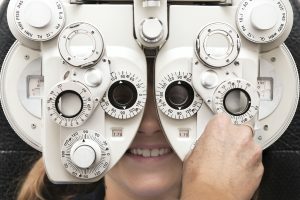 Changing lives, one pair at a time: In almost any home, you can find a pair of eyeglasses that are no longer being used. Need a little motivation to clean out those drawers? Your donated eyeglasses can change the lives of children and adults. We know that many of our patients no longer need their old prescription glasses. Especially those who have improved their vision through LASIK or cataract surgery with Dr. Moran! If you have a pair (or more!) of glasses to donate, bring them to our office at 1204 Delaware Avenue in Fountain Hill. We would be happy to accept your donation during our normal office hours, 8-4pm, Monday -Thursday. Prescription glasses, reading glasses, and sunglasses are all needed. Looking for a great community service project for your office or for student groups? This recycling program is an easy project to coordinate. Contact us for more information and to request a collection box.